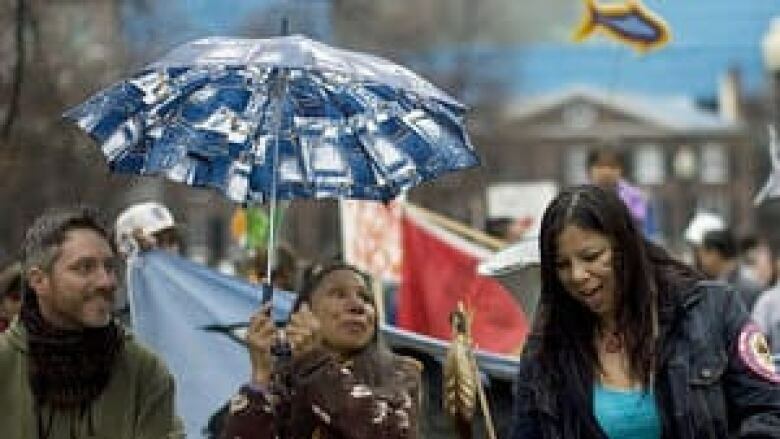 First Nations people from Grassy Narrows, Ont., continue to suffer the effects of mercury poisoning more than 40 years after commercial fishing was closed, a new report shows. The report, released in English today in Toronto, outlines the long-term effects on people who lived along the Wabigoon-English River system in northwestern Ontario. "Mercury Pollution in First Nations Groups in Ontario, Canada: 35 years of Canadian Minamata Disease" was published in Japanese in the Journal of Minamata Studies in 2011. Two years ago, Japanese scientists who have been studying the effects of mercury poisoning for over 50 years, returned to Ontario. Their first research visit to the northwest region of the province had been in 1975. The lead author of the report, Masazumi Harada, began researching the effects of mercury poisoning in Minamata, Japan, in 1961. That was also the year that methyl mercury in fish caught in Minamata Bay was identified as the cause of over 100 deaths and many more cases of brain damage in people who ate the fish. The effects of the poisoning became known as Minamata disease. After the Japanese scientists learned of reports of similar symptoms in Canada, their research brought them to the Grassy Narrows and White Dog First Nations in northwestern Ontario. The mercury originated in the 1960s from a chemical and pulp mill in Dryden, Ont., owned by Reed Paper Co. From there it got into the English-Wabigoon River System and then into the fish. For the two First Nations, the fish were the main food source and the commercial fishery and related tourism businesses were their main livelihood. Shoon Keewatin, 57, a resident of Grassy Narrows north of Kenora, recalls a happy youth in the area. "I remember when my dad and my sister were fishing, and I'd go and help them," he told CBC's Jody Porter. "Those were times I really enjoy. I think of them a lot, and they took that away." The mercury problem was identified in 1969, and in 1970 the government order Reed Paper to stop releasing mercury into the water system and closed the local fishery. Since then, people have received mixed messages about whether the fish is safe to eat, but many still do. Although lower, the mercury levels in fish continue to be above safe levels and people downstream from Dryden continue to have the symptoms of Minamata disease — even people born long after the mercury dumping had ended. In 2010 the Harada team examined 160 adults from Grassy Narrows and Wabaseemoong, as White Dog is now named. They found that "33.7 per cent [54 people] of the target group would be diagnosed as Minamata Disease patients " and that "a total of 58.7 per cent [94 people] was affected by mercury." Symptoms observed in at least one third of the people in the target group include: sensory disturbances on the limbs, difficulty walking a straight line, difficulty seeing, visual disturbances, hearing impairment, headaches, insomnia, exhaustion, fatigue and numbness in the limbs. Keewatin doesn't have to be told. He is losing his sense of balance, his ankles are numb, and he suffers dizzy spells. "I used to be able to stalk moose. Now I can't, because every time I go in the bush, I have to grab a stick for balance, and I make lots of noise." Keewatin says he'll be doing his part to seek out help for people who are suffering, and he hopes the new research shows the government compensation package from the 1980s is inadequate. To him, restoring people's connection to the land is what matters most. Steve Fobister, the former chief of Grassy Narrows, has severe disabilities from mercury poisoning. He told Porter, "we hope the future generations can make a change and find different opportunities. We have to maintain what we are." Fobister, now 60 years old, receives $250 dollars per month as compensation. The compensation results from an agreement the bands reached with the federal and Ontario governments, which had long been in denial about the effects of the dumped mercury on human health. The agreement was reached in 1985 and it provided for a Mercury Disability Board to dispense payments from a fund to which the governments, as well as Reed Paper and Great Lakes Forest Products Ltd., which took over the mill from Reed, made a one-time only contribution. The compensation is based on a point system for the severity of symptoms. However, the three-decade-old agreement has no provision to adjust the payments for inflation. "Our citizens have not been compensated adequately," Simon Fobister, the current Grassy Narrows chief told CBC news. Simon and Steve Fobister are cousins. The Harada report found that for Grassy Narrows and Wabaseemoong combined, only one quarter "of those whom we diagnosed or deemed suspicious of Minamata Disease were officially approved" for compensation. Masanori Hanada, the director of the Centre for Minamata Studies in Japan, and one of the keys authors of the report, spoke to Porter with the aid of a translator. He explained that the mercury poisoning victims in Japan received $800,000 US as compensation in 1973 and continue to receive $2,000 to $8,000 per month, also based on the severity of symptoms. In Canada, the board designates payments from $250 to $800 per month. Hanada also said there needs to be ongoing research into the cumulative effect on people who have continued to eat the fish from the waters near Grassy Narrows. Without that research, he said it is impossible to say what the present and future effect will be. He did note that for outsiders, eating one or two fish from the lake isn’t harmful now.